Please print, complete, and bring to orientation. Identification and employment eligibility documents - Please see the last page of the I-9 document for acceptable types of identification. Per the Department of Homeland Security, we are obligated to review the original documents in order to satisfy the Employer Section of this form. Therefore, providing copies of the acceptable types of identification is not sufficient. If you would like to add a spouse or dependent(s) to your Macomb County benefits, you must provide proof that they are eligible for benefits. A list of required documentation is located on our website. You must bring this documentation to orientation in order to add your spouse/dependent(s) to your spouse/dependent(s) to your benefits.  If you were hired as a part time or temporary employee, you are not eligible for healthcare benefits through Macomb County. However, please refer to the Important Notice on Health Insurance Marketplace Coverage Options under Health Care Reform. If you were hired as a full time employee, please review our website to determine which of our generous healthcare options is right for you and your family. At orientation, you will receive a Status Change Form to complete. You will elect your medical, dental and vision choices. If you select Blue Care Network (BCN) or Health Alliance Plan (HAP), you will also need to select a Primary Care Physician (PCP). You will need your physician's first and last name for the form. If you do not select a PCP, the carrier will select one for you. If you have medical, dental and vision coverage elsewhere, and do not wish to receive medical, dental and vision coverage from the County, you may request an Insurance Waiver Bonus. The Insurance Waiver Program and Affidavit form will be available at orientation. If you have any questions you can discuss them with the Benefits representative at orientation. Additionally, a review of the Macomb County Ethics Ordinance must be completed by your orientation date. The Home Rule Charter of Macomb County authorizes the Human Resources and Labor Relations (HRLR) Department to formulate and direct the County’s overall Human Resources Program and to establish employment specifications and protocols for County employment. It is the purpose and intent of HRLR Policies to inform County employees about policies pertinent to their employment and to assist employees in being successful and productive. The policies are available through the Learning Management System (LMS). As a new employee, you will have access to LMS by the end of your first week of employment. All new hires must complete the LMS policy review within thirty (30) days of the start of employment. A link to the LMS can be found here. Please note: as policies are revised, or as new policies are implemented, they will be published on our website and available in the LMS. All employees are responsible for remaining current and up to date on Human Resources Policies. If you are an employee of the Macomb County Sheriffs Office (MCSO), you will review your policies through LearnCom at your department orientation. Do not use the link above you will be given instructions through the MCSO. Parking for Orientation - Parking is available in the structure adjacent to the building. When you arrive, the kiosk will ask you to insert your debit or credit card to enter the garage. You do not need to do so. Please push the intercom button and tell the attendant you are here for new hire orientation. Upon exiting the garage, push the intercom button and tell the attendant that you have completed orientation. Metered parking is also available in nearby municipal parking lots, as well as along the street.